(Newser) – Ibuprofen for your splitting headache, or venom from the "killer of killers"? Scientists say that poison from one of the rarest, most "beautiful" snakes in the world—a creature that devours king cobras for breakfast and boasts "freaky" long venom glands that run a quarter of its body length—could potentially provide effective pain relief for humans down the road, the BBC reports. 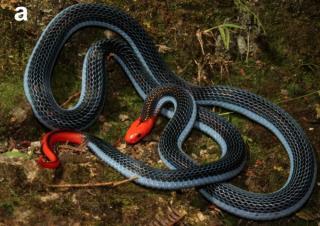 A study by University of Queensland scientists in the journal Toxins points to the long-glanded blue coral snake (or "the snake with the scorpion's sting," as it's referred to) as the source of a fast-acting venom that immediately short-circuits its prey's nerves via a "massive shock to the system," study co-author Bryan Fry tells Phys.org. 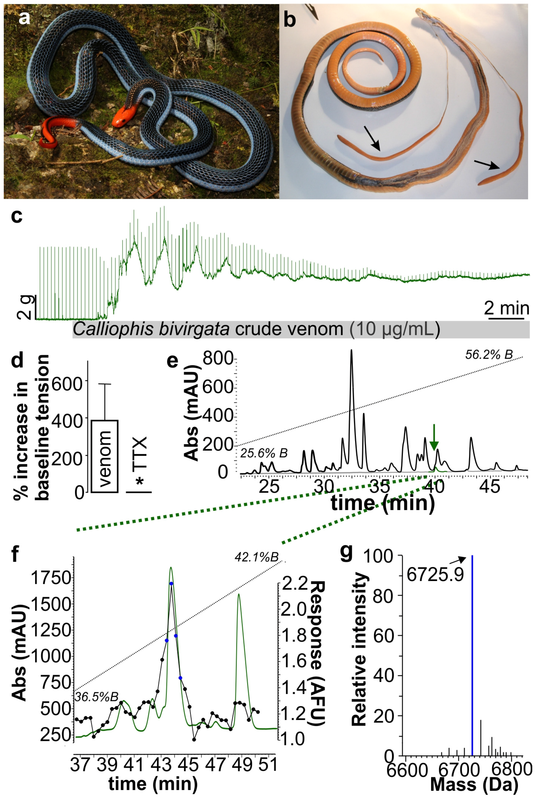 While this resembles the devastating blow dealt by such animals as the cone snail, it appears to be the first time a snake has been identified as having this instantly intense capability. Anything Fry says should be taken with a grain of salt. He is a pompous, self absorbed, holier than you aristocrat wanna be, that gets a few tv appearances. Very smart guy, well maybe not......... he's been bitten many times by venomous species. 30 years as a Herpetologist and I have never been tagged by anything venomous. But he can laugh all the way to the bank, I can't. "...a creature that devours king cobras for breakfast..." Juvenile King cobras I'm sure. This snake is 1.5 meters max while a King gets over 6 meters. Interestingly, both snakes prey exclusively on other snakes.